I talk a big talk about my avoidance of television. Friends trumpet their favorite new shows, and I gladly ignore them. My life is already so exciting and hilarious, see, that I don’t need situation comedies and crime thrillers to insert hilarity and excitement. Except, lately that a bit of a lie. 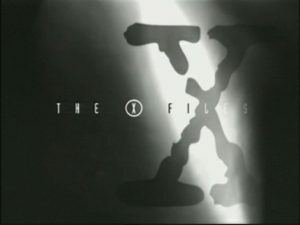 It has come to my attention that Netflix Streaming has added The X-Files to its extensive repertoire. And while I may be safe from the temptation most new television has to offer, I cannot resist forty-two minutes spent with my friends Mulder and Scully. This is where we enter the danger zone. I cannot stay awake for two consecutive episodes of TV I have already seen and possibly memorized while lying somewhat prone on the couch. 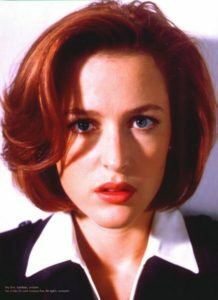 And so I allow my eyes to drift closed, spirited towards fitful rest by the dulcet tones of Agent Scully. I guess their parachutes didn’t open. Alison, I am struggling to amass my top five list, per your Tumblr request. I suspect it will include “Die Hand Die Verletzt,” but I could probably compile it entirely from S4.